"Country", winter 2002. Limited edition; 120 made. Now available from Blue Rose Records' website--free music download, eh! Click on the MP3 tag at the top of their site. Featuring CJ Udeen on the pedal steel. This is a tribute album above all. 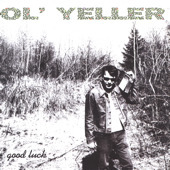 2 originals, some Gene Clark nuggets, a Prine, a Jimmie Dale, Waylon, U2, Micheal Nesmith..
mp3: The Red Headed Stranger? 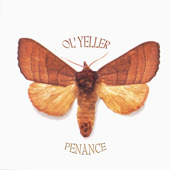 Grand Champeen/Ol' Yeller split single, 2002; available from Glurp Records. 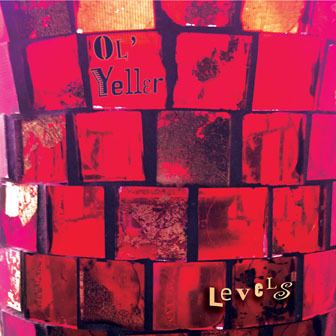 The World Turns All Around Him-A Tribute to Gene Clark: Fall 2006 Swedish label Groover Recordings put together this loving tribute to one of Ol' Yeller's #1 favorite songwriters, Gene Clark (a.k.a. the "Tambourine Man" of the Byrds). Naturally, we had to be involved, contributing the track, "Something's Wrong". Visit them HERE. Almost There - Turn 2: Summer 2006 Austin Texas label making compilations and all around supporting good music. Comp also features the Tinys, Moonlight Towers, Milton Mapes, Mandible, and 18 more! Available HERE. Duluth Does Dylan Revisited: Spring 2006 Compilation of Duluth and northern Minnesota bands covering Bob Dylan. Get one HERE. SMA Records - Compilation #1: March 2005 Limited edition, 100 copies made. 12 tracks in all, all SMA Records recording artists from in and around Minneapolis. INRADIO 7: Perritos, May 2004. In Radio makes some very cool compilations. 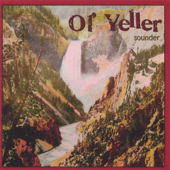 Here Ol' Yeller throws in a song from the upcoming "Sounder" album. Iron Country, October 2003. Spinout Records A Duluth MN/Iron Range country comp featuring Charlie Parr, the White Iron Band, Doug Ellis and more. Ol' Yeller contributes a quasi-political rant called "We Are Under Mob Rule." Best of the Brewhouse Vol III: LIVE ON KUMD, Feb. 2003. 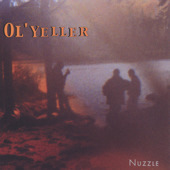 Ol' Yeller was on John Zeigler's radio show in January of 2002. We played lot of tunes, the one selected for this compilation is an old Glenrustles song that the Glenrustles never played live called "Desolation Underground." This may still be available from KUMD, 103.3 Duluth. TWIN TOWN Music Yearbook Volume IV 2001-2002. 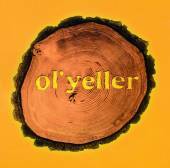 Released by City Pages, featuring Mallman, Ouija Radio, 12 Rods, Honeydogs... Ol' Yeller plays "Sleep It Off", still unreleased anywhere else. Not sure how to find this one anymore. The Bitter Spills Sing Folk Songs Volume 2, November 2006. Limited edition; 100 made. Released in conjunction with the Bitter Spills tour 11/06. Rich Mattson and Baby Grant Johnson decided to go under this moniker for their folktours. Many more to come! Email Rich and he will burn you a copy for a small fee. The Minnesota Folk Tour Album, summer 2004. Limited edition; 100 made. Released in conjunction with The Minnesota Folk Tour featuring Baby Grant Johnson, Charlie Parr, and Rich Mattson. Rich contributes 3 new originals and sings a sweet Johnny Cash prison tune.. 15 tunes in all. Same as above if you want one.. The Glenrustles, self-titled retrospective, December 2003. This is a compilation of 20 songs from the pre-cd Glenrustles catalog i.e. 1988-1993. Tunes pulled from the old demo tapes of yore. There are 4 more Glenrustles albums, plus more compilations with that band. You can have a look at the Glenrustles (Rich Mattson and Greg McAloon's old band) discography HERE. Some of these recordings are still available from SMA Records. Trailer Trash - This is the country band that Keely has played with from 1996 - 2005. Lee's Liquor Lounge hosts their website with all their information. They have 4 cd's out, 2 of which are Christmas albums, 3 of which were recorded at Rich's Flowerpot Studio! These guys are highly influential--they've been turning the hipsters onto what is good in country music since around 1993. Like they say, they "play country music the way it used to be: before it all sounded like another commercial." Danny Commando y los Guapos - "Hell Over Purgatory" (Garage D'or 2001) and "Karmageddon" (SMA Records 2002). Rich Mattson plays DRUMS on these albums, also co-produced them with the wild and crazy guitar hero Danny Commando. Unguided Missile - "Time Well Wasted" 2002 Crazy Beast. Greg is the bass man with this band of tight bros from way back in the day. Very cool Dino Jr. meets My Bloody Valentine meets Meat Puppets vibe. Available from Ben Durant's Crazy Beast Studio. The ODD - oh my g*d - 1998 Preaching Leech Productions. Rich Mattson a.k.a. "Reggie Pype" played bass in this horny Minneapolis supergroup that also featured the singing of Tom Siler aka "Tommy Obsession", Danny Commando, Jay Deming ("Scott Jaffe") and the one and only Mark Mallman as "Count Rockula". Find it at Cheapo! !